The winter of 2017 will not be regarded with affection. The Ski Centres have only managed to open for the odd day and then with very limited skiing. 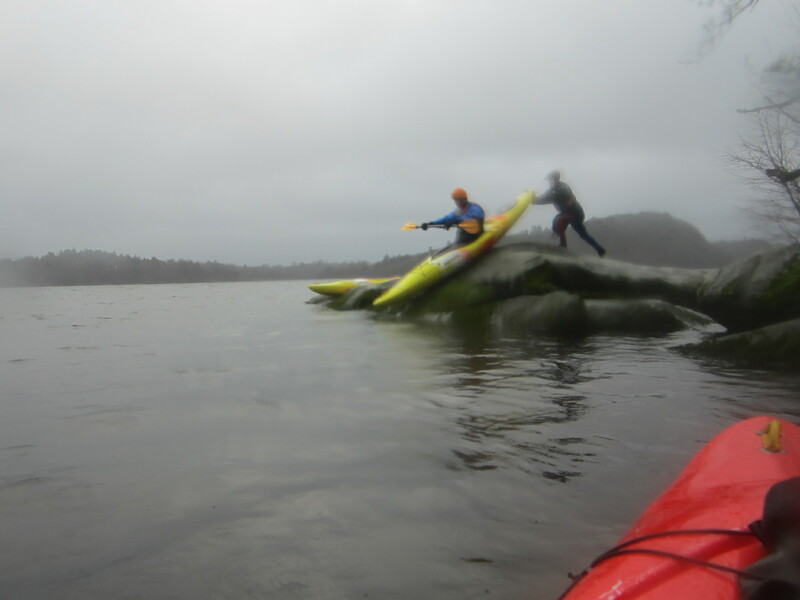 On the water the wind has prevented a number of planned trips and the overall drabness, rain and cold has limited the appeal of those that have run. 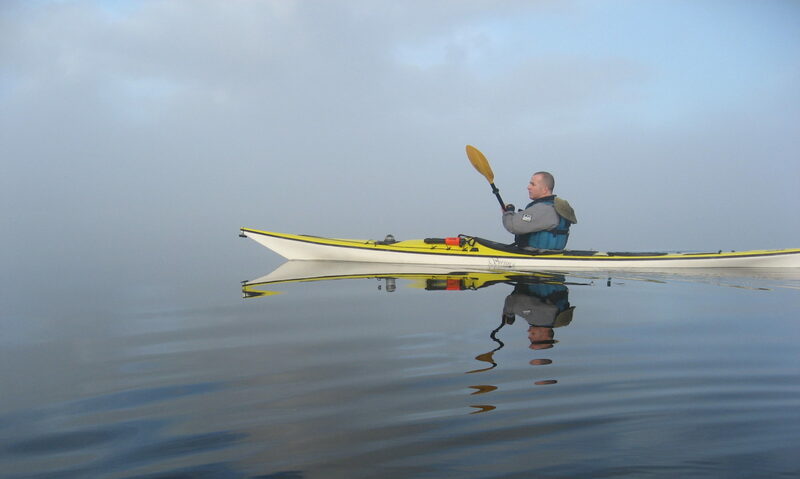 In earlier blogs two trips to the Loch and to Lake Menteith are reported. In this blog 2 Training and 2 Midweek are recorded. 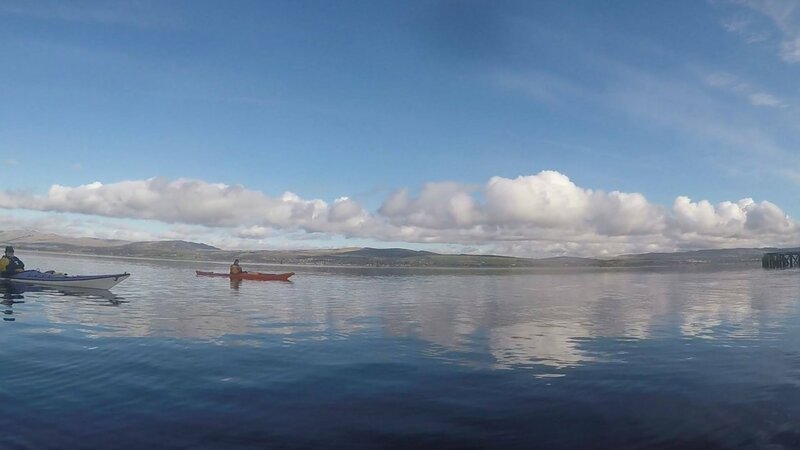 Clyde 1st Feb Paddlers: Dave, Geoff Weather: Grey and greyer, Report: A “why on earth are we doing this” trip from Craigendoran up the Gareloch and return. Seals for company, of course, and some porpoise. Important information: you can get right along the shore under the small bridge at the Marina, land at the internal slip and have excellent coffee and cake in the cafe. Training Luss Sat 4th Feb Paddlers: Euan, Geoff, Steve, Olly, Colin (?) and ? 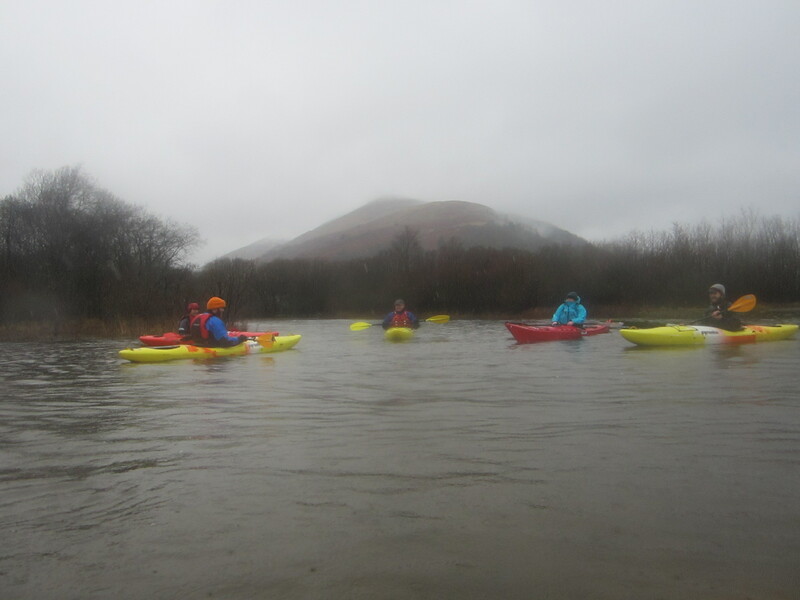 Weather Grey and breezy Report The weather relented just enough to allow the first of the Basic Skills training paddles to occur. The water pouring down the river prevented progress through the bridge and caused a couple of hairy moments in the trees. 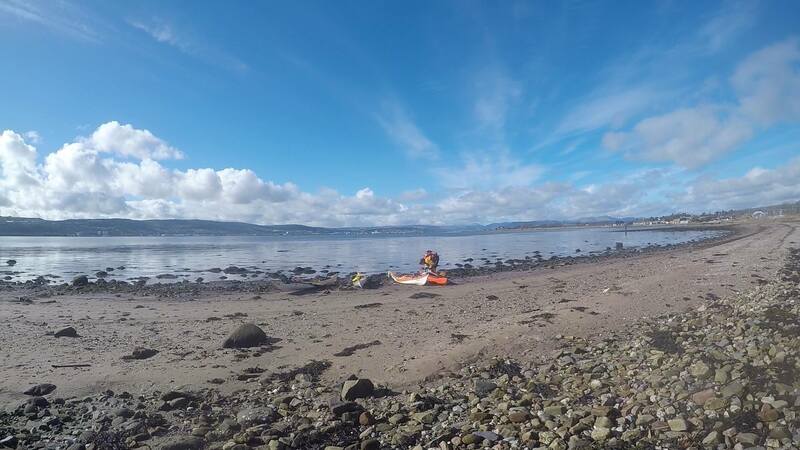 From the river the group managed to the beach at Inchtavannach and after a break on to the seal lunch islet. The paddle back was uneventful but very useful in the context of training, and got us back in time for us to see the Scotland Ireland international. 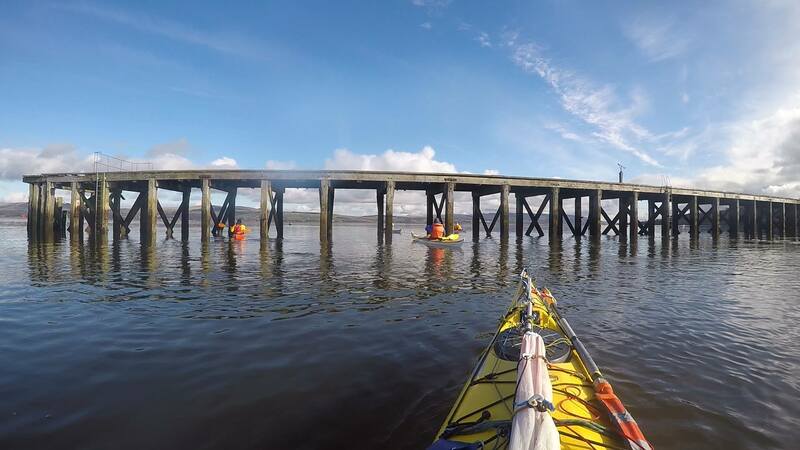 Report A couple of last minute emails and a good weather forecast saw 7 of us gather off Helensburgh pier for a paddle. 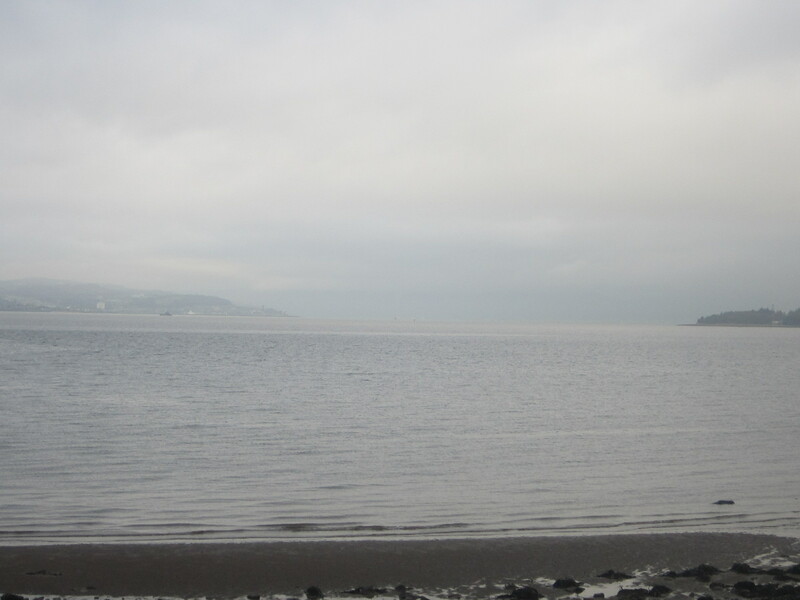 and then across to a beach in Cardross for lunch. Another leisurely paddle after a prolonged lunch and we were home. A good day. 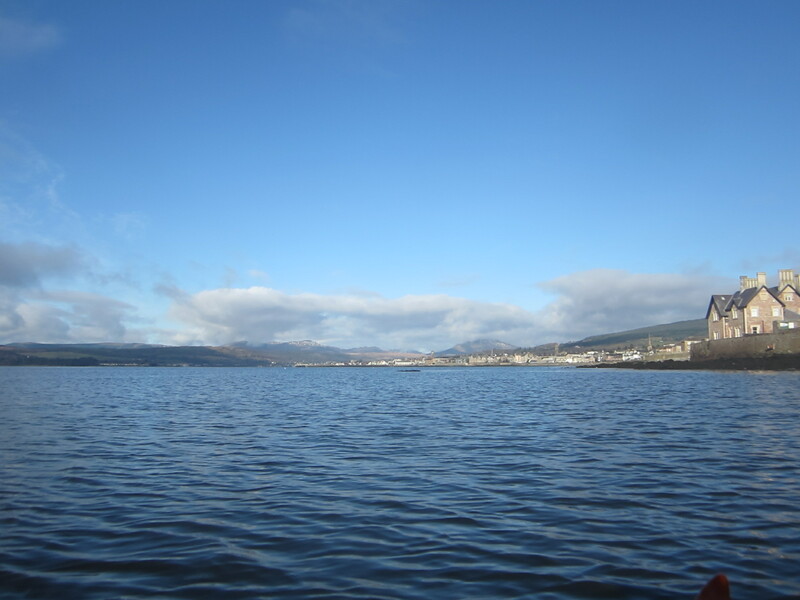 Training: Lomond Shores Sat 11th March Paddlers Euan, Geoff, Steve, Melanie, Adele and Stuart. 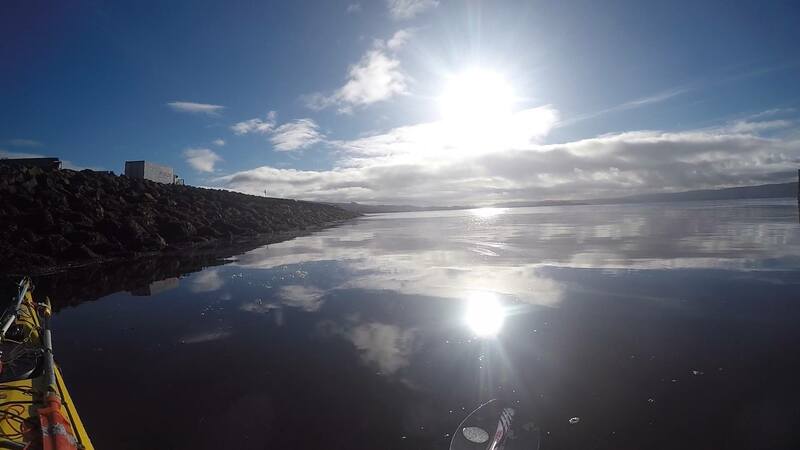 Weather: Calm and Grey Report This was the second Training session for the Basic course and sadly the re-arranged date did not work for most paddlers. 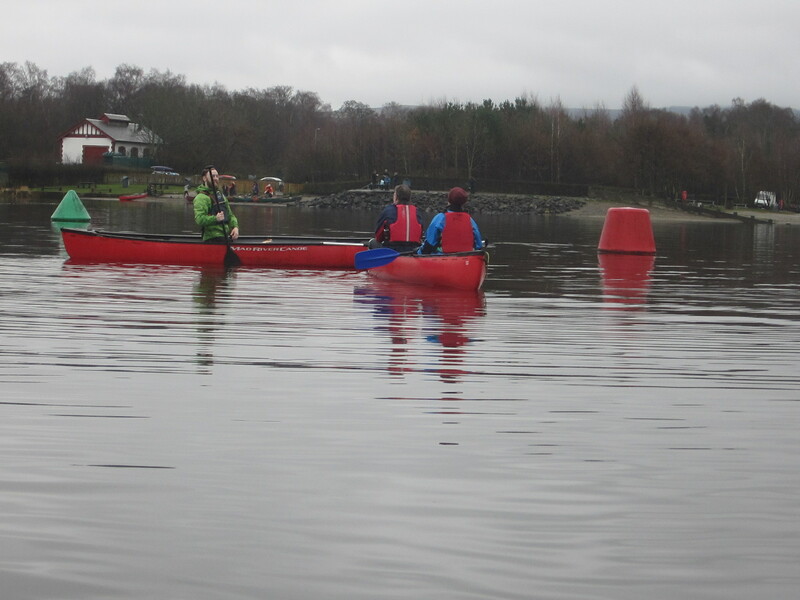 Those that came experienced an enjoyable session getting to grips with canoes and solo paddling under Euan’s excellent instruction. 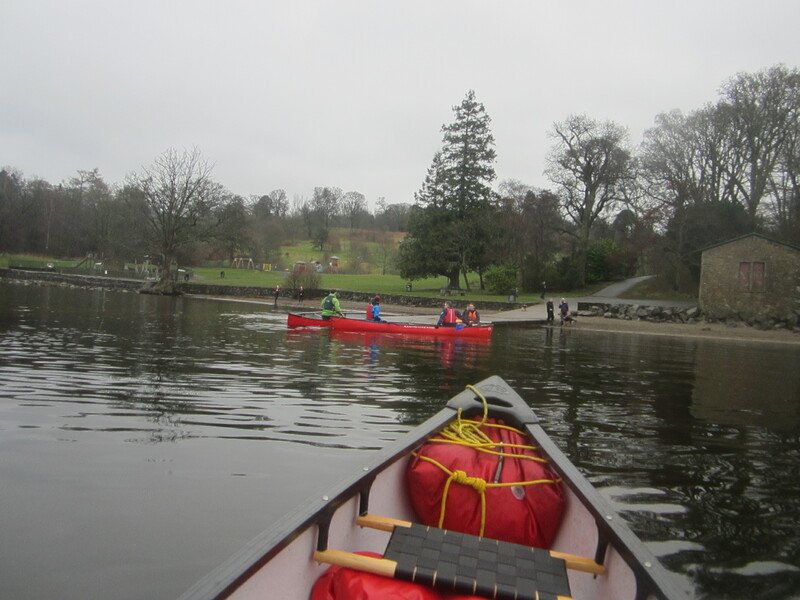 The route saw us across to Balloch Castle, down (and back up) the river and across to the Cameron House boathouse. Information: It is possible get up the east side of the river under a small bridge to minimise the impact of the river flow. An excellent morning and back in time for the big game.